How I learned to be in peace with my depression is probably not the best title for what I’m about to say in this post but in a way I sorta am going to tell you how I accepted my depression, brave through the storm again and again. As I’m sitting here writing this down, I won’t lie to you saying I didn’t thought of ending my life here and now. In the past few weeks the suicidal thoughts are strong. I have never felt like this since my first wave back in 2015. This time I’m defeated and I don’t know what I can do to brave through it like I did before. I’m always honest about my battle with depression and how I feel about it. Depression is beautiful. This still stands. It is only beautiful once you accepted it and understand it. Despite how awful depression makes me feel everyday, I still think it’s beautiful and God has bigger plan for me. I’m angry with myself for this because what Chogyam said was true. I’m angry that I’m raising awareness on depression, telling people to love themselves more but here I am, self-loathing like there’s no tomorrow. I failed to educate myself. I start to understand what Chogyam said now. When something is unresolved, we keep going back to it again and again, thinking about why. It is only you resolve the issue then slowly the depression leaves. What I’m going through in my life now that causes the depression doesn’t have any resolution. I just have to go through it no matter what. That is why it makes the healing process slower and harder for me this time around. I know most people are angry at depression. I’m never angry at depression. I only feel sad because the mind work that I’ve been working on so hard has all gone down the drain. It doesn’t matter how high my IQ or EQ are. When depression hits, I am back to square one. The wisdom behind having depression is that you see some things clearly. I question the purpose of me in the life. I tried to change a certain part of my life each time depression hit. But the downside about questioning your life is that when you can’t find the purpose of you in this world, that’s when the suicidal thought came. I have thought of a 101 ways to end my life. I even dream about it. Have I truly accepted my depression yet? I thought I did. Now I know it’s not fully. My experience with depression in the current wave is so much different than what I’ve been through before. Sometimes I breeze through it in a day, sometimes a week but no matter how long it takes, I always feel better and well. It has nearly come to a month and I’m still feeling hopeless. This time depression hits me hard. I’m allowing myself to dwell and heal. It doesn’t matter who I am. I am where I am now. Back to where I was, questioning about me, life and everything else. I have come to make peace with my depression because that fella will stay no matter I like it or not. Although I know exactly what to do when the wave come but I am still a human afterall and sometimes I fail to do what I needed to do. So this is me, accepting my depression, acknowledging it. Because it is only through acceptance that I am able to heal. This is also me, announcing that I will be on a hiatus from Street Love. If you see an update on Facebook that means I’m back. Until then I am taking some time off to storm through the current depression wave. I can’t promise you that I’ll be back stronger. But I can promise you I’ll be back. That’s for sure. Does this dress look familiar to you? Yeap! It’s the turquoise version of the purple dress I wore in What I Wore Vol. 5. In the recent post I shared about Losing Weight, I’ve lost about 2kg at that time and since then I’ve lost another 1-2kg. Lost of appetite is one of the main cause among other contributing reasons. This dress has been fitting me nicely since post-depression 2 years ago. Now, it fits even nicer in my opinion as I’ve also lost that little tummy from What I Wore Vol. 5. The only thing I still don’t like about the dress is the low back. Don’t get me wrong. I like the idea of a low back dress but somehow it shows my boney spines. Bones that I never knew existed! 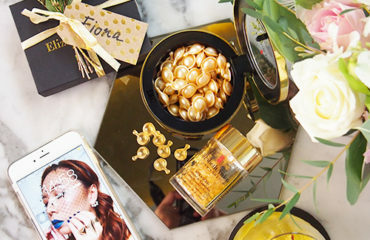 Mon Chéri, a French-inspired skincare company has already built a name for themselves when it comes to skincare offerings. 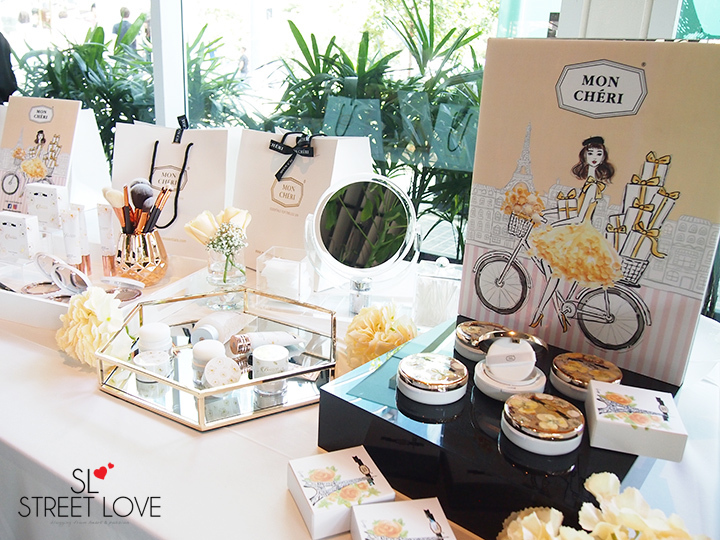 Now, Mon Chéri has launched a complete cosmetic line named Collection De Bouquet and this completes its existing Petal CC Cover and Lumiere Complexion & Pore Refiner, which was launched in February 2017 as a whole complete cosmetic range. 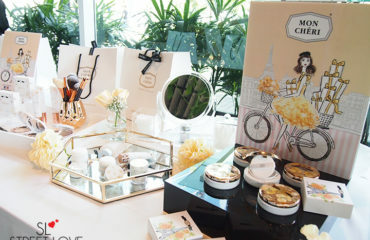 The entire cosmetic line has 13 products in total, 11 which was newly added into the Collection De Bouquet line. Packaging wise in my personal preference is absolutely beautiful and aptly done according to the brand’s identity and theme. 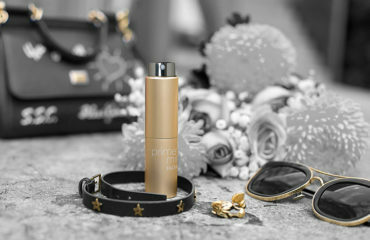 It features white and champagne gold packaging with Mon Chéri signature flower decorated all over to complete the look of elegance and luxury. In the modern world these days, who doesn’t want to look fair? Literally everyone that lives in the Asian countries are very much into anything that gives our skin the fairness, brightness, luminous and radiant glow. Everybody know I am into brightening beauty regimen although bronzing up the skin to look like as I have sun-kissed skin is my most favourite makeup step to do 😀 . However I don’t like to look pitch white overall. What I’m looking for is that radiant and glowing skin. And that is how I embarked onto the Hakubi White C Series regimen. 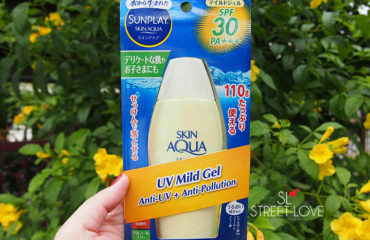 I have tried many whitening or brightening skincare and I have yet to try a brand from Japan. Yes! Hakubi is from Japan. The brand is by Sato Pharmaceutical Co. Ltd., an established name in healthcare in Japan, with a presence in the US, Europe and Asia. 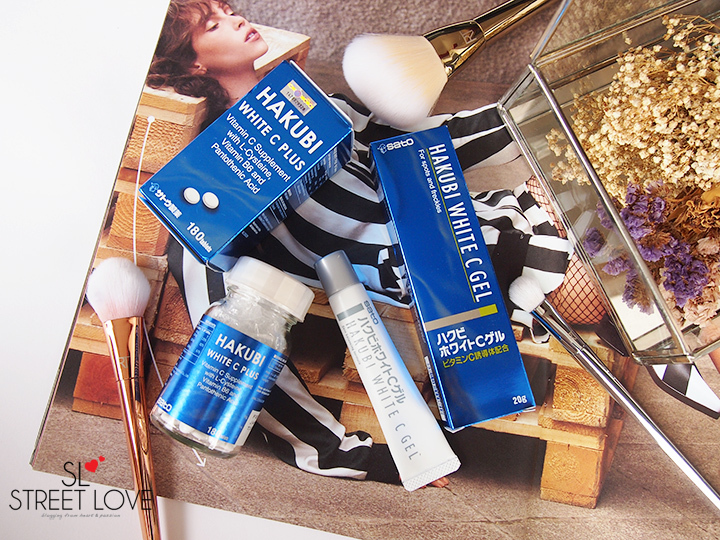 Most skincare works on the outside aka skin surface but Hakubi’s new White C Series lighten skin blemishes as well as blemishes and freckles from the inside out with its unique formulation. Overall the White C Series range only has two products and each of them are different in its way. 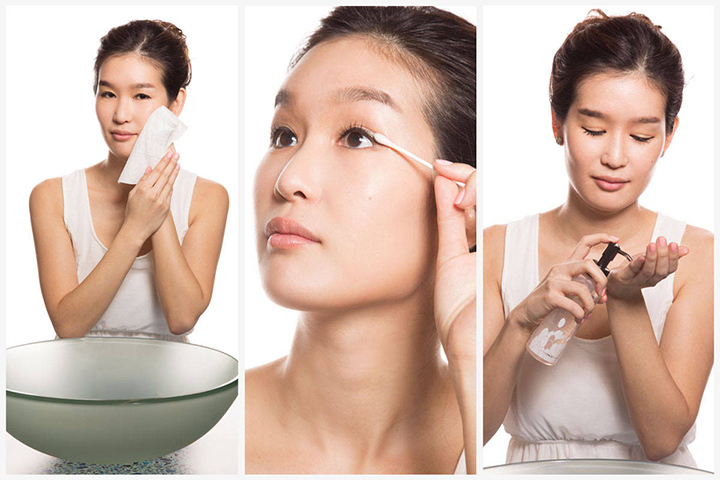 A topical skincare – White C Gel to be applied on the skin and White C Plus, an oral supplement. 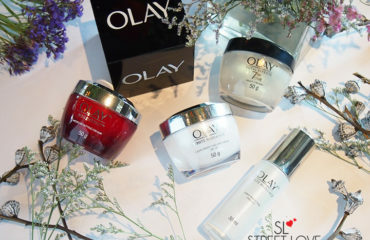 When used together, both products aimed to give the skin a brighter, fairer and healthier skin. Review: Hiruscar Post Acne Gel For Acne Scar and Dark Marks Gave Me Breakout Instead!